ThinkIN for Industry4.0 is an advanced IoT/Big Data solution for the Smart Factory. 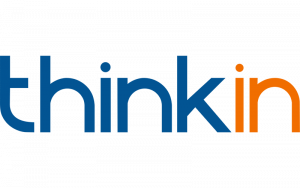 ThinkIN uses IoT technologies to monitor in real-time and with high accuracy the position of workforce and industrial assets in the environment. Such raw data is processed in the cloud to extract actionable knowledge on the execution of industrial processes and to optimise the factory efficiency. Search and locate industrial assets in real-time. Track the progress of workflows by monitoring the position of assets and workforce members. Increase workforce coordination and productivity. Optimise usage of industrial assets. Predictive and remote asset maintenance. Monitor deviations from expected processes and perform root-cause analysis. Monitor in real-time the position of workforce members in the presence of risk situations. Enhance emergency evacuation. Reduce associated costs and liabilities. Location-based workflow management for monitoring the actual work performed. Automated auditing and control. Reduce management overhead and associated costs.